TORONTO, June 30, 2016 /CNW/ - The proposed updates to the Code of practice for the care and handling of egg laying hens, announced today by the National Farm Animal Care Council (NFACC), will continue to allow producers to house hens in cages. 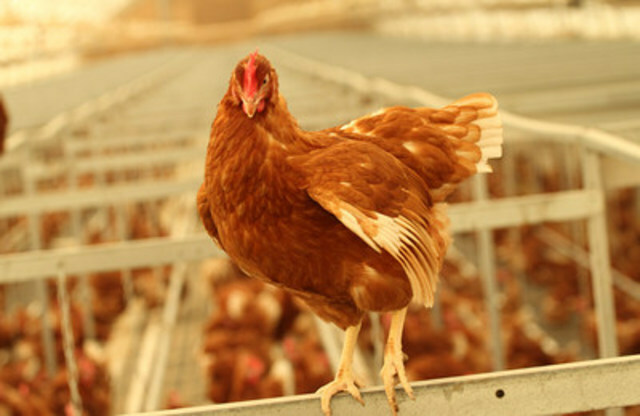 While the phase out of battery cages is a welcome improvement, the continued use of enriched cages means that the standards set by the Code are trailing behind both corporate cage-free commitments and consumer attitudes. Last year's commitment from McDonalds, to source only cage-free eggs within 10 years, started a wave of similar commitments in Canada. Since then, Tim Hortons, A&W, Cara Foods, Second Cup and others have followed suit. As well, the Retail Council of Canada's grocery members including Sobeys, Loblaw and Walmart announced that they would not source eggs from caged hens starting in 2025. "Because of these public commitments, we estimate that in the next decade at least 75% of eggs eaten in Canada will need to be from cage-free hens," says Josey Kitson, Executive Director of World Animal Protection Canada. "The Codes should include a total phase out of caged housing systems to make sure that Canadian producers can supply the eggs that the market is demanding." "For egg producers, transitioning to cage-free housing systems is the safest bet economically," says Steve Easterbrook, Canada's first organic free range egg producer. "The expense of adopting an enriched cage housing system is significant and will put producers who choose that route at risk. There is an accelerating trend of consumers switching to eggs from cage-free hens as the public becomes increasingly more informed about the living conditions of the livestock that produces their food." "As members of NFACC we support the process to update Codes of practice and gather consensus. We believe the Code Development Committee missed an opportunity to ensure the best possible future for egg farmers and for hens. We will be providing that voice during the feedback process," says Kitson. "An enriched cage is still a cage and it is clear that the future of egg production in Canada is cage-free." While they will be phased out by 2036, at the moment the vast majority of the 28 million Canadian laying hens are kept in conventional battery cages where each hen lives in a space smaller than an iPad and has little room to stretch her wings or move around freely. Enriched or furnished cages offer increased space, about the size of a postcard for each bird, an area for egg laying and some perch space. In typical cage-free barns, hens are able to express some natural behaviours like laying eggs in a nest box and perching.